Fall is a great time to get outdoors and enjoy the changing colors. 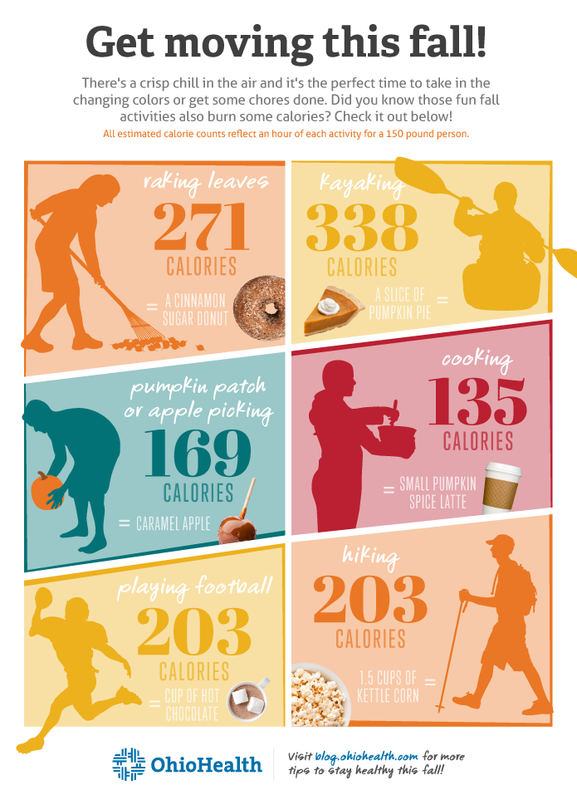 It’s also a great time to burn more than leaves… we’re talking calories! Those fun fall activities actually are great ways to burn off some energy and keep you moving through the season. Check out the calorie burn estimates above. And don’t discount chores like chopping wood or raking leaves, or fun activities like hiking – they’re great forms of exercise!